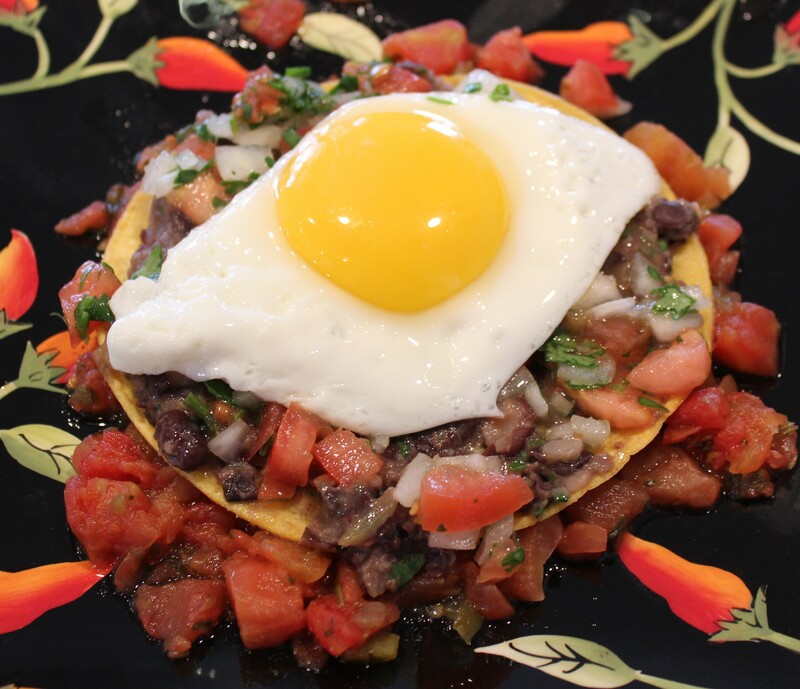 After a few attempts, I am finally quite pleased with my recipe for huevos rancheros. 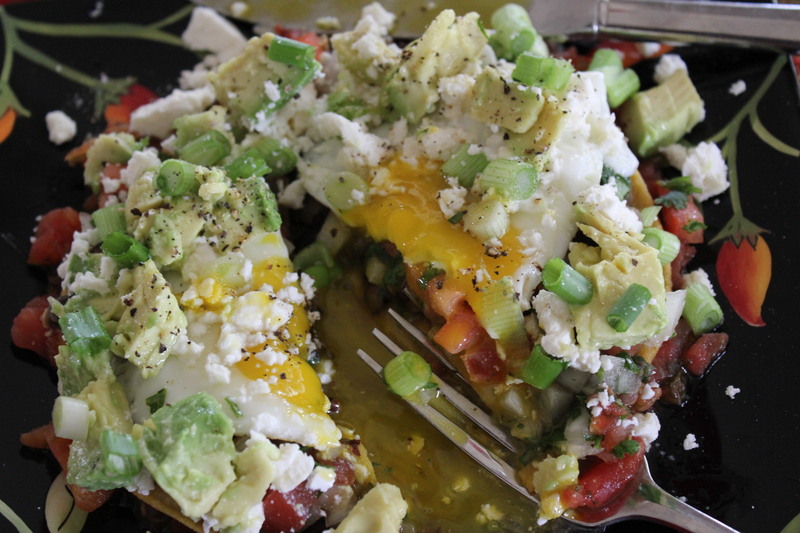 Simply put, huevos rancheros are eggs cooked in a country or ranch style. The eggs are usually fried or poached and served with a spicy tomato sauce and a fried corn tortilla, with vegetables and cheese. All I know is that they are awesome and are perfect for a weekend brunch or even a meatless dinner. 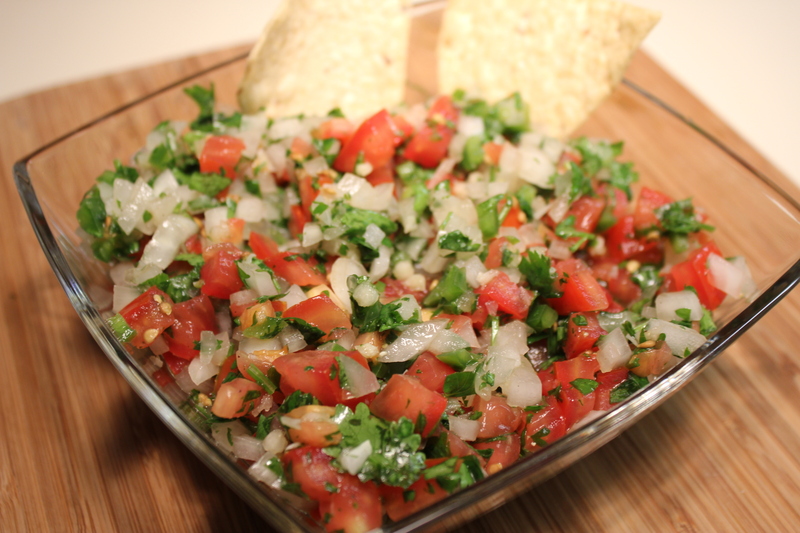 I make my own pico de gallo (click here for Kel’s Café easy recipe), but you can buy it already prepared if desired. You can also buy refried black beans if you want, but I personally like the texture and taste of using seasoned black beans instead. Finally, you can substitute salsa for the Rotel diced tomatoes, and I really don’t have a preference in this case. Prepare the pico de gallo and refrigerate until ready to use. 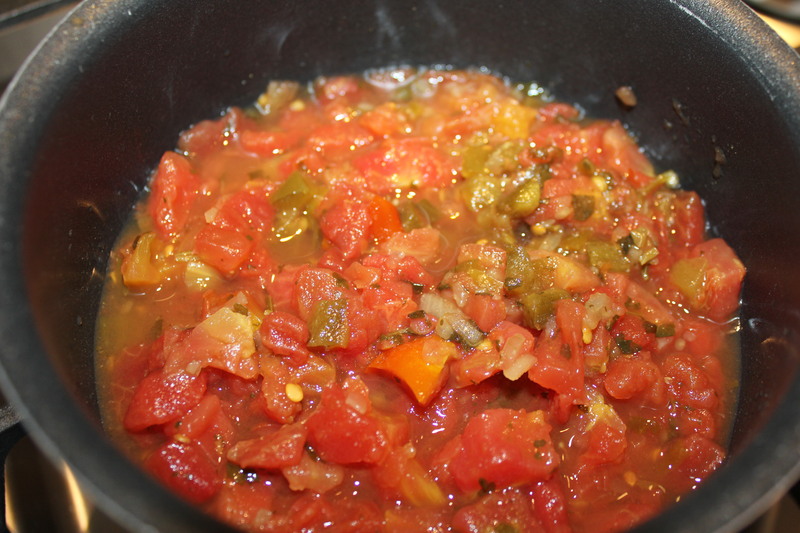 Heat the diced tomatoes in a medium sauce pan. 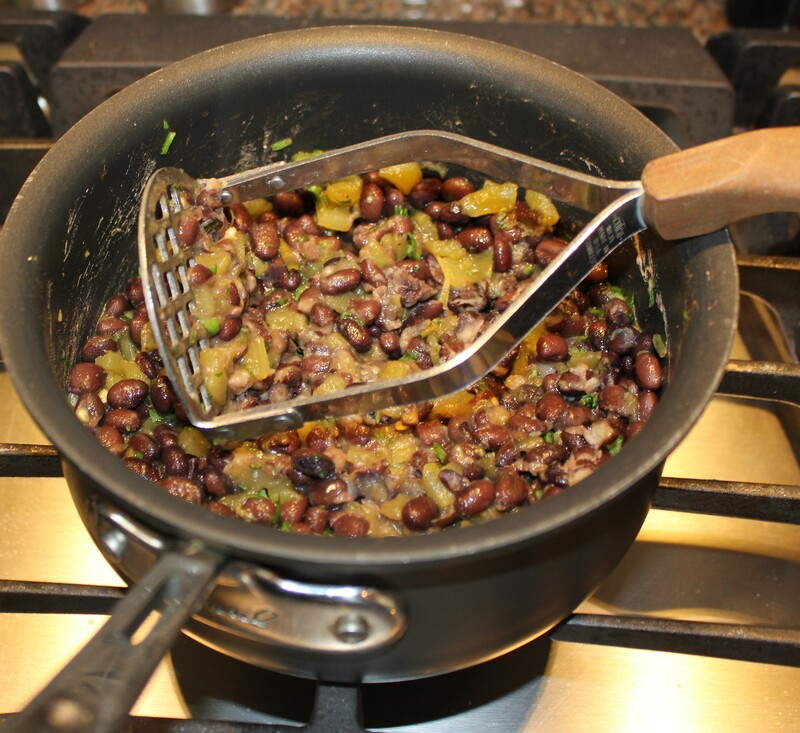 Place the black beans and green chiles in a medium sauce pan and season with hot sauce, salt and pepper. Slightly smash them with a potato masher. Heat until warm. 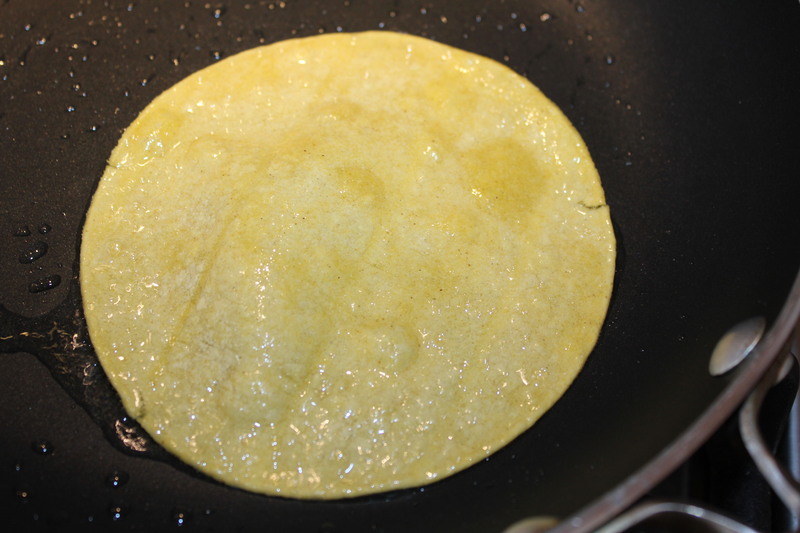 In a large skillet, heat part of the oil and fry the tortillas, adding more oil if necessary. Heat some butter in a skillet and fry the eggs. 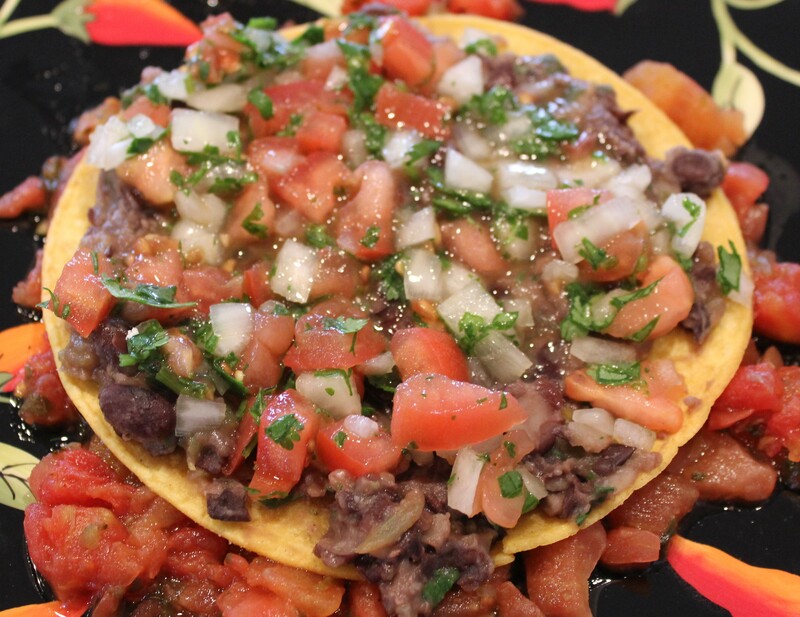 While they are cooking, place some of the diced tomatoes on a plate, followed by a tortilla, some of the black bean mixture and then the fresh pico de gallo. 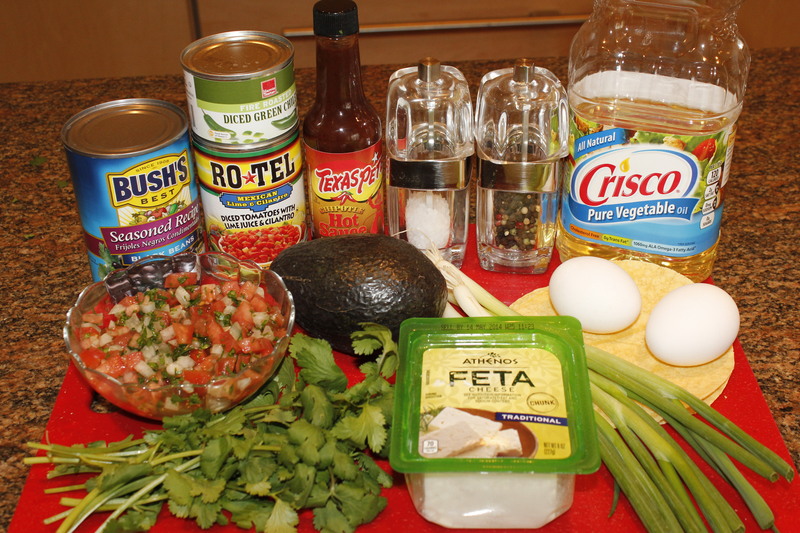 Place an egg or two on top on the pico de gallo. Season with salt and pepper and garnish with avocado, spring onions, feta and cilantro. I love, love, love these, but when I’d rather go out for brunch instead of cooking, this is a must have at Irregardless Café — they are delicious, especially with a bloody Mary or mimosa, as shown below. 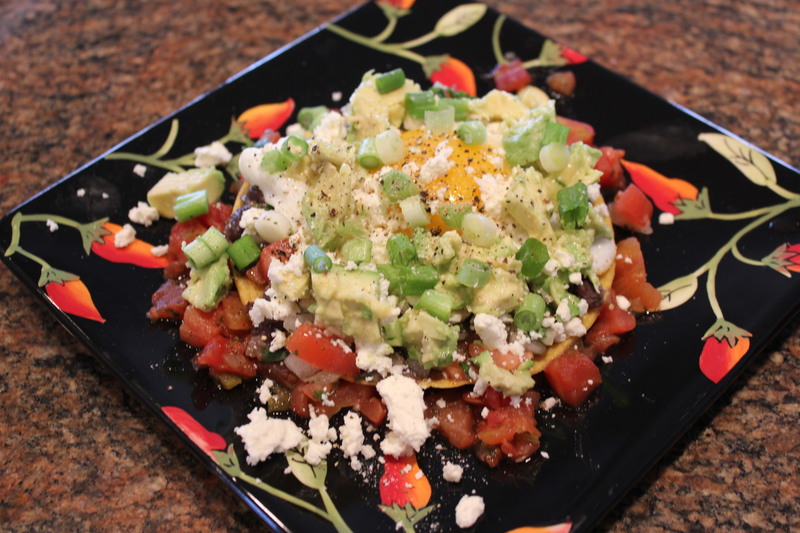 This entry was posted in Recipes, Vegetables/Vegetarian/Vegan and tagged eat drink and be merry, eggs tortillas black beans pico de gallo, huevo rancheros recipe, Kel's Cafe brunch recipes, Kel's Cafe huevos rancheros, kel's cafe recipes, Kelley Chisholm recipes, vegetarian recipes. Bookmark the permalink. They are ahhhh-mazing, PJ! You should give them a try! Thanks for this! 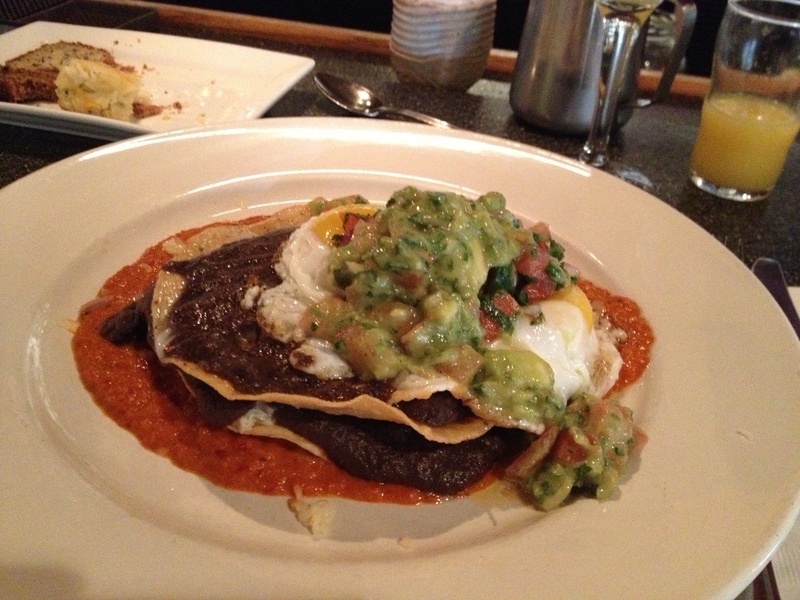 I love Huevos Rancheros�even though my ski buddies didn�t always think well of my choice last week! LOL, Jerry. You should try these – they are wonderful!